[pl] The Jedi … are the main protagonists in the Star Wars universe. [sg] A Jedi’s ideology and strict way of life as a worthwhile challenge to live up to is a recurring theme in the Star Wars universe. It seems that Jedi almost always has a “zero plural” (like, say, sheep in English). In an enormous number of the world’s languages — Japanese, for example (which is relevant here) — there are no distinct morphological forms for nouns denoting an individual and those denoting a multiplicity. 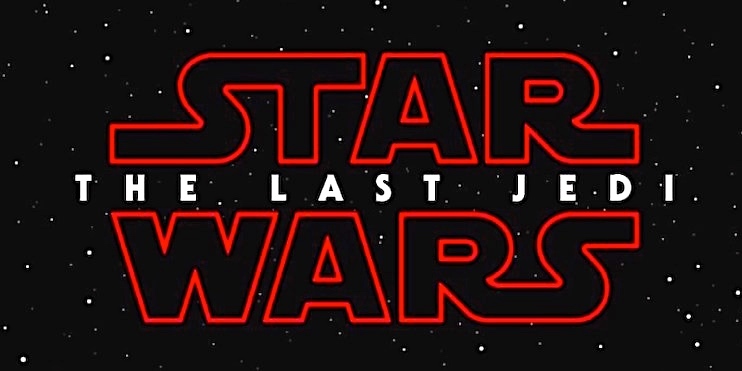 The word “jedi” is said to have been adapted by George Lucas from Japanese 時代劇 (jidaigeki) (meaning “period drama” motion pictures about samurai), or perhaps inspired by the words Jed (King) and Jeddak (Emperor) in the Barsoom series by Edgar Rice Burroughs, a series that Lucas considered adapting to film. The film Rogue One suggests that it relates to the planet Jedha, source of the kyber crystals used in lightsabers. The ambigiguity in #1 was brought to my attention by Luc Vartan Baronian, who didn’t see that there was one until he encountered the movie’s title in French: Les derniers Jedi, clearly pl (vs. sg Le dernier Jedi). This entry was posted on February 26, 2017 at 1:45 pm and is filed under Inflection, Movies and tv. You can follow any responses to this entry through the RSS 2.0 feed. You can leave a response, or trackback from your own site. Whether “The Last Jedi” was intended as singular or plural was a burning question among Star Wars fans, and evidence from foreign translations has helped resolve the issue. See this article from GamesRadar, with translations in Spanish, French, Italian, and German.